SL-C2 PET blow molding machine and its assistant machines are especially used to produce 3L - 7L bottles in PET bottle production industry, also widely used to produce various shapes of plastic PET bottles. •Exported our products to Japan, Europe, South & North America, Southeast and Middle-east of Asia. •Energy saved, and endurable service life, equipped with new double crank four bars to lock mould, the cross fixed. •High efficiency working ability economic investing. •Adopt the innovative CAD/CAM/CAE technology to improve qualities and develop the new products. •Small machine dimension size and compact inner construction with no space waste. •Convenient operation and maintenance, only need one person operating. •Machine is adopted the most advanced and market trend-leading technique, facilitating customer holding the most superior competition position. •Have ISO9001 international quality certification to assure our high quality products. 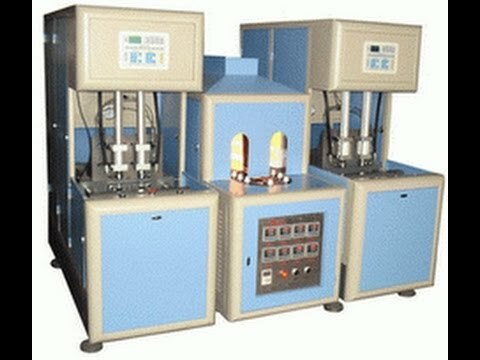 •Over 20 years professional in fabricating blowing molding machines and tools.